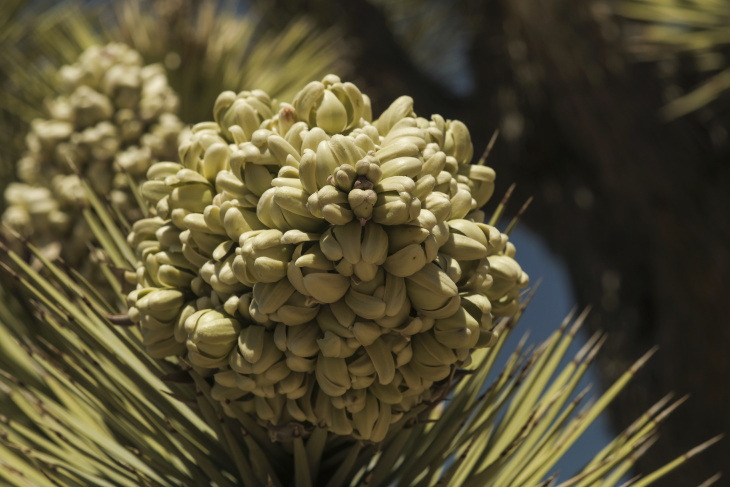 Joshua Tree National Park is exploding with color after unusually heavy winter rains, just in time to celebrate the park's expansion. Right now, visitors can see poppies, bluebells, fiddlenecks, and the huge, white, beehive-like blooms of the park's famous trees. A federal bill signed into law earlier this month adds 4,518 acres to Joshua Tree National Park, and increases protection for more than 1 million additional acres elsewhere in California, Utah and New Mexico. Death Valley National Park, which straddles eastern California and Nevada, gets 35,292 new acres under the bill. Supporters call the legislation a rare political compromise and a victory for wildlife. "It's really, in this climate, an amazing act of bipartisanship," said Chris Clarke, California desert program manager for the National Parks Conservation Association. "The plants are larger than usual," he said during a tour last week. "They'll flower probably for a longer period and more profusely." The new parcels will be transferred to the park from the Bureau of Land Management and the Mojave Desert Land Trust. To explore one of the new sections of the park, drive up Covington Flat Road from Yucca Valley until you hit a dry riverbed (dry when the skies are blue, at least). Warning: It's a deeply rutted dirt road. You'll need clearance, so don't drive your Prius. Park and hike up the riverbed as far as you like (and bring plenty of water!). The best wildflowers right now are at the lower elevations of the park near the Cottonwood Visitor Center. 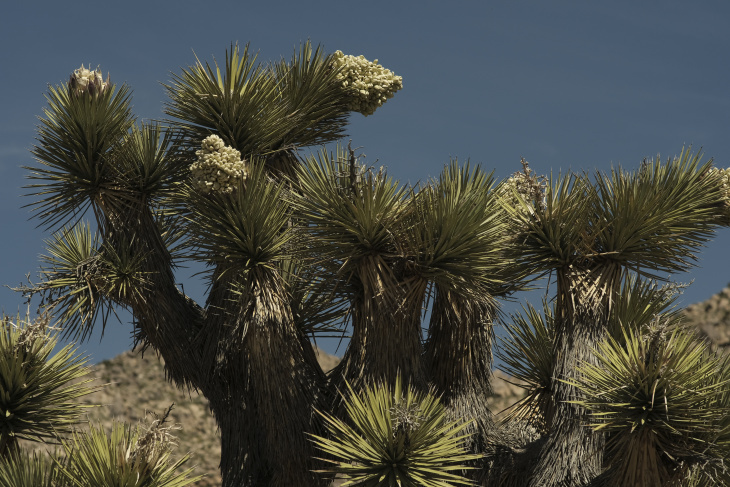 If you take the park entrance near that visitor center, off the I-10, you can also avoid the long lines that often build up at the more popular entrance outside the town of Joshua Tree. When it comes to wildflower selfies, curb your enthusiasm, Joshua Tree spokesman George Land urged. "It's not a 'Sound of Music' moment," Land said. "Try to resist the temptation to run out and twirl in the middle of [the flowers] so that someone can get you on Instagram." 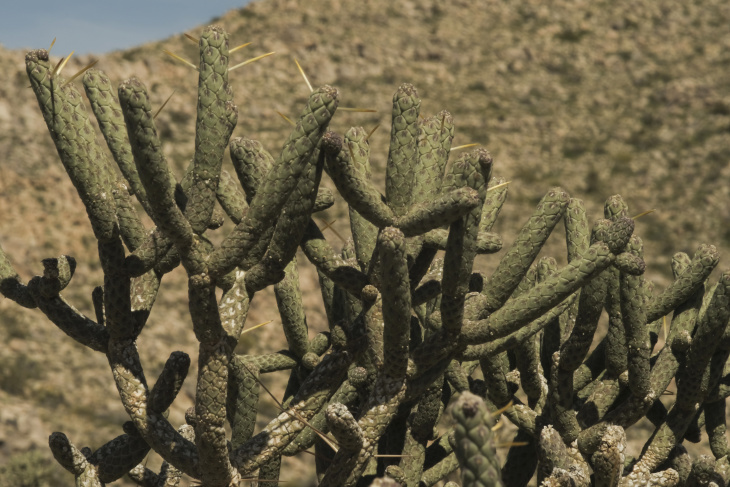 Desert ecosystems are fragile. Stay on trails when possible. Also, unless you have a reservation, campsites are hard to come by. There are some walk-up sites, but you'd be lucky to snag one, especially on a weekend. You can also hike in and pitch a tent in several areas of the park, without a reservation (check with a park ranger for details). But you have to be willing to carry your gear at least a mile in and pack out your trash. Plus there are no restrooms (so bring a poop shovel!). Important reminder: there's no running water anywhere in the park so you'll have to stock up before you enter. National park administrators have no immediate plans for building new amenities like trails or campgrounds on the new land additions, Land said. But he noted that the legislation allows the park to acquire land for a new visitor center, which will help accommodate the increasing stream of tourists. Land said close to three million people visited Joshua Tree last year — more than double the number of visitors in 2011, when he started working at the park. "We've been discovered," he said. The Covington Flat area, one of the new park additions, has long been a popular hiking spot among locals. Until recently, it was also a popular playground for off-road vehicles, and the area has been explored as a potential location for housing. As part of the national park, off-road vehicles will be prohibited and the land will be permanently protected from development. Stephanie Dashiell, project director of energy and land use for The Nature Conservancy, said wildlife stands to benefit most from increased protection in the newly added parklands. Canyons and washes provide a passageway for animals to cross from the higher elevations of the park into the Morongo Basin, which spreads out below it. "Since I live close by, I can affirmatively say I have seen bobcats use this, and I've seen coyotes all the time," she said, standing in a riverbed that is part of the park's new territory. Desert flora will also benefit. 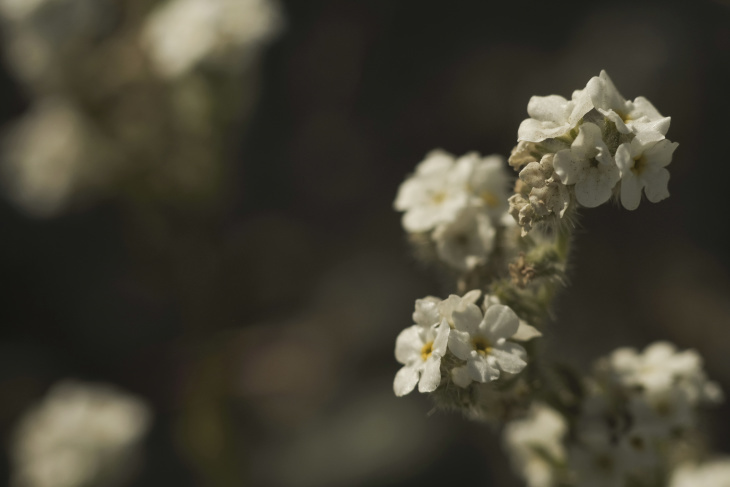 Wildflower blooms suffer when fragile desert landscapes are disturbed, for example, by vehicles and footsteps, according to Naomi Fraga, director of conservation programs at Rancho Santa Ana Botanic Garden. "A lot of invasive plants move in and they can outcompete [native] plants," she said. 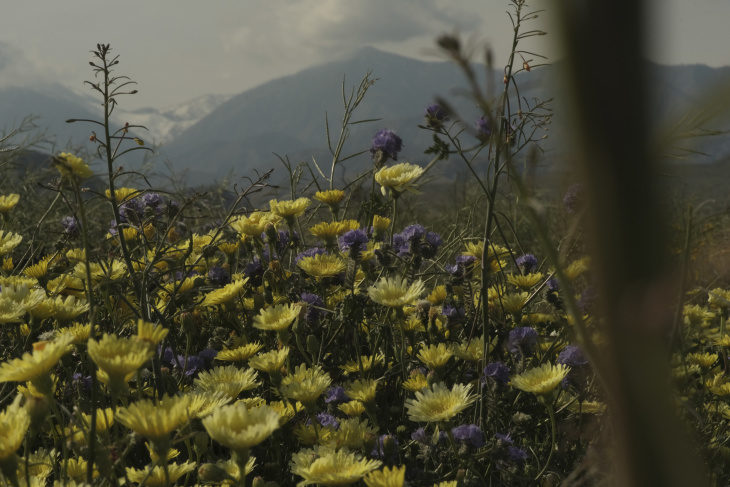 Plus, wildflowers attract butterflies and other pollinators, and desert tortoises, which eat the flowers. HOW DID THIS BIPARTISAN UNICORN OF A BILL HAPPEN? Clarke, from the National Parks Conservation Association, said the California portion of the bill has been in the works for more than a decade. With increasing development pressure on desert lands, conservationists developed a broad agenda for protecting key areas. The bill sailed through Congress — at a time of heightened partisan bickering — because stakeholders, including energy firms, housing developers and environmentalists, had been hashing out compromises for years. Correction: A previous version of this story indicated that the new parcels had already been transferred to the park. In fact, the official transfer could take up to a year. LAist regrets the error.